Much clinical conviction among obstetricians and psychiatrists exists concerning the influence of psychological factors upon pregnancy in terms of sterility, spontaneous abortion, premature terminations, and complications of delivery. However, designed research on these significant perinatal conditions has been limited. 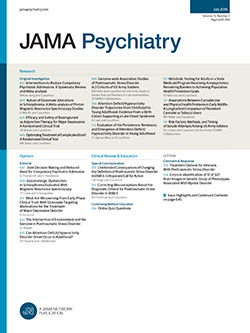 In this preliminary report, we offer for further research a self-rating attitude test (Maternal Attitude Toward Pregnancy Instrument, MAPI), developed from a retrospective psychiatric and psychologic study of mothers of premature infants.1 Our findings seemed to support the hypothesis that the attitude toward the pregnancy influenced the course of the pregnancy. Subsequently, this test was constructed as a possible instrument to predict probable psychogenic premature interruptions and other complications of pregnancy.